So you hate that you need this mystical thing called an author platform just to sell your books, huh? Well I've got some good news for you. You can actually grow your platform in 3 easy steps! What I'm about to show you will require a personal investment of time and finances, but it can be worth it if you do this regularly. I know it works because I've done it in the past and have had success almost every time--almost every time, because not everything goes as planned, and because I can be lazy sometimes. But I am doing this right now and seeing excellent results as we speak. What is the trick? It's called a "Reader Role Call" promotion. You might also want to call it a multi-platform giveaway. 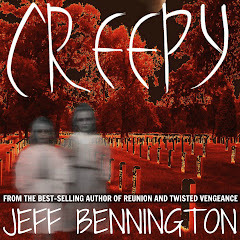 This trick is something I do in addition to a KDP select giveaway (for details see previous 2 posts), but when I do, I see excellent KDP Select results. More importantly, I grow my reader base by gaining social media followers. 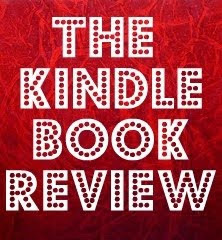 I'm currently doing this with 84 other authors at The Kindle Book Review. 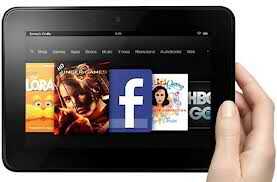 We are giving away a Kindle Fire and two $100 Amazon gift cards. I've joined forces with these authors and Digital Book Today, but I've done this all by myself recently and it worked great then, too. When going solo, I usually give away print copies of one or more of my books, which requires a much smaller investment, but will also garner less interest than a major giveaway (Kindle, Nook, iPad). At the time of this writing, I've personally gained nearly 50 subscribers at The KBR, and about the same on Twitter and Facebook in the last 24 hours, and this is just the start of a 2-week promotion! This promotion has had over 20,000 entries in the last 36 hours, so the authors involved are getting a lot of exposure. And my sales? They've ticked up a little, but that's what I expected--just a little. Promos like these need to be tied in with layered marketing in other platforms to see large sales spikes. The thing to remember is a promotion like this is more for growing an author platform, which is a long term relationship, and does not always lead to immediate sales. The general idea of the Reader Roll Call is to give something away by using Rafflecopter as the source of generating a raffle/drawing to automatically choose the winner. Rafflecopter is really cool because you have lots of options in terms of creating ways for readers to gain entries/points, and the ones with the most points naturally have a greater chance of winning. So what are the 3 easy steps? #1. Decide what you want to give away, and if you want to join forces with other authors. 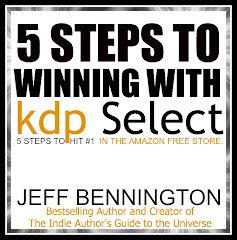 If you go solo, try giving away a print copy of your book during a KDP free promo to help spread the word about you and your books. This will draw attention to your freebie if you tie it in right. Also, if you include other authors, understand that this is your show, and you must work hard to get the others everything they need like links, ideas, and dates. You have to make sure everything comes together. #2. Decide where you will host/publicize the promotion and how you will reach your audience. When running a promo like this in the past, I've listed the promotion directly on my Amazon book page by adjusting the text via my Amazon Author Central account. But the real trick is to incorporate the giveaway across your entire online platform, including Facebook, Twitter, your blog, or website. And the better trick is if you work with other authors, and everyone contributes to the promotion, you can gain an even greater reach, and piggy back on their reading audience as well. Another tick is to give away a copy of your book(s) on Goodreads at the same time, and link the giveaway to your REAL promotion, the one with the Raffecopter giveaway, or your freebie if doing a KDP giveaway as well. The point is, before you start, you have to commit to how deep you want to go, and then follow through and do everything you said you would. I'm also doing two other promotions like this with other groups of authors during the holidays, and it stands to reason that the more my name is seen across the Internet, the greater chance I have of gaining followers and readers. #3. Create your Rafflecopter form. Creating a Rafflecopter form is easy and can include many upgrades if you plan to use this often. I use the basic form and still have the option to have the reader/registrant follow my twitter account (@TweetTheBook), my Facebook account, subscribe to my blog(s), and "Like" my author page on FB. And this, my friends, is the best part about this type of promotion; it draws readers into your author platform, and that's enough for me, for now. But one important thing to remember: when using Rafflecopter, the actual raffle sign-up box will not go live until the start date that you choose, so you have to make sure everything is correct when it does go live. I have had some problems with them linking facebook pages. In that case I have replaced, for example, an authors FB link with his/her Twitter handle. Authors with one book will have a more difficult time selling/promoting (unless they are lucky). Always remember that, "The best marketing plan for a newer author is to write more good books." A social media audience is more receptive to receiving something free than a constant barrage of self-promotion from you. They are also more willing to share your giveaway with their friends if they know there is no "catch". And there shouldn't be a catch. Giving your book(s)/something away is a win-win, because if you write great books, your new readers will be more willing to buy your other/next book---that's just how most people are--they appreciate kindness, and in general, want to return it. Expect complaints. Although most people are good hearted, there are some that you cannot please. Be gracious. And offer exceptional service, even to the grumps out there. Plan your promotions around typical retail cycles (Holidays, back-to-school days, etc). Expect to invest more time/energy/money during the busier seasons (Christmas, Halloween, etc). There is more competition for the top spots on ad sites, and in Amazon lists. 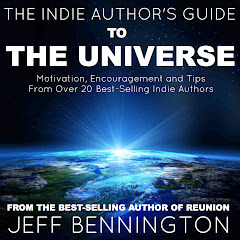 A few key ingredients to all promotion/book sales are great reviews (more is better), a great book description, catchy cover, and a compelling sample. And now I'd like to invite you to WIN a Kindle Fire or a $100 Amazon gift card with my KDP Holiday Kindle Giveaway. The giveaway runs until Jan. 5th, 2013. This giveaway is brought to you by The Kindle Book Review, Digital Book Today, and 84 amazing authors.